My sister, my wife and I had dinner Sunday afternoon at Rezza. We have had several excellent meals there before, and today was no exception. What was different was the presence of a huge, very lively bridal shower part. In spite of the increased workload, the chefs and the waitstaff performed admirably. We were brought a small plate of an excellent sourdough bread, from Manhattan's Sullivan Street Bakery. We enthusiastically consumed three plates of the bread and the olive oil for dipping in the course of our meal. 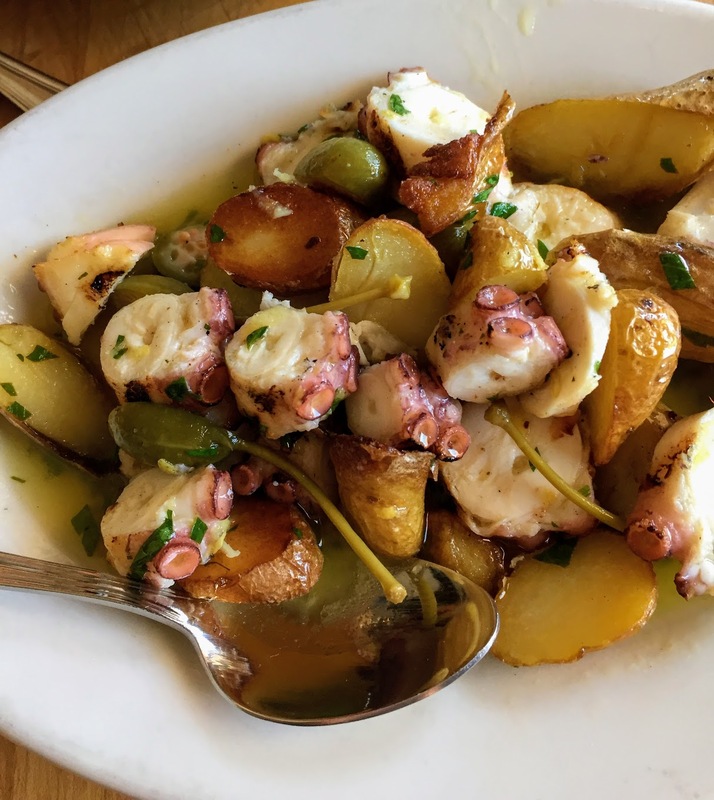 For starters, my wife had grilled octopus again. 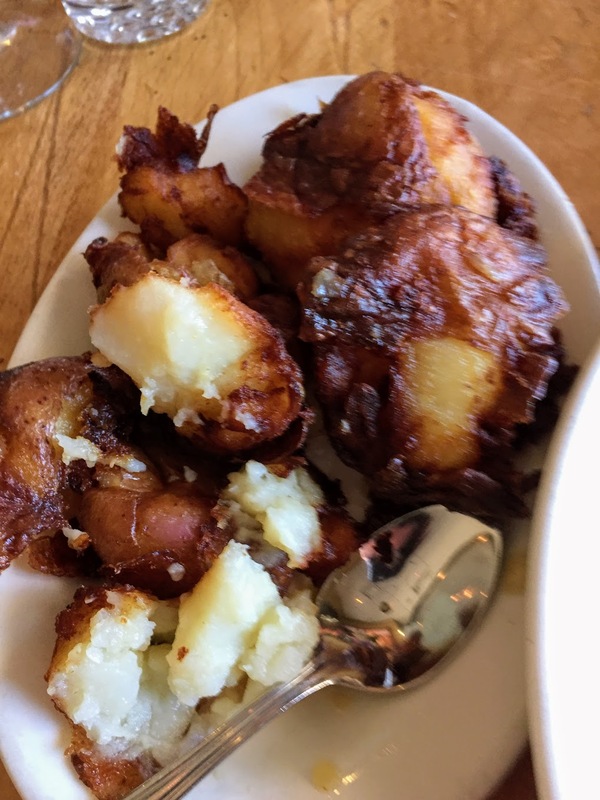 It was tender and savory. 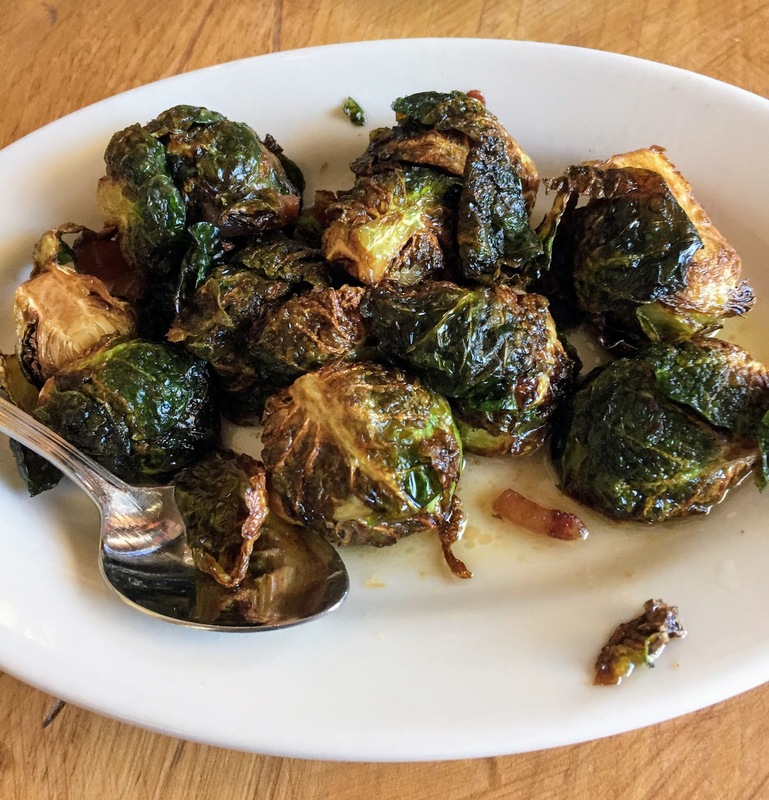 I chose the Brussels sprouts with garlic and guanciale. They were a Brussels sprouts lovers' dream fulfilled, well browned and still al dente. 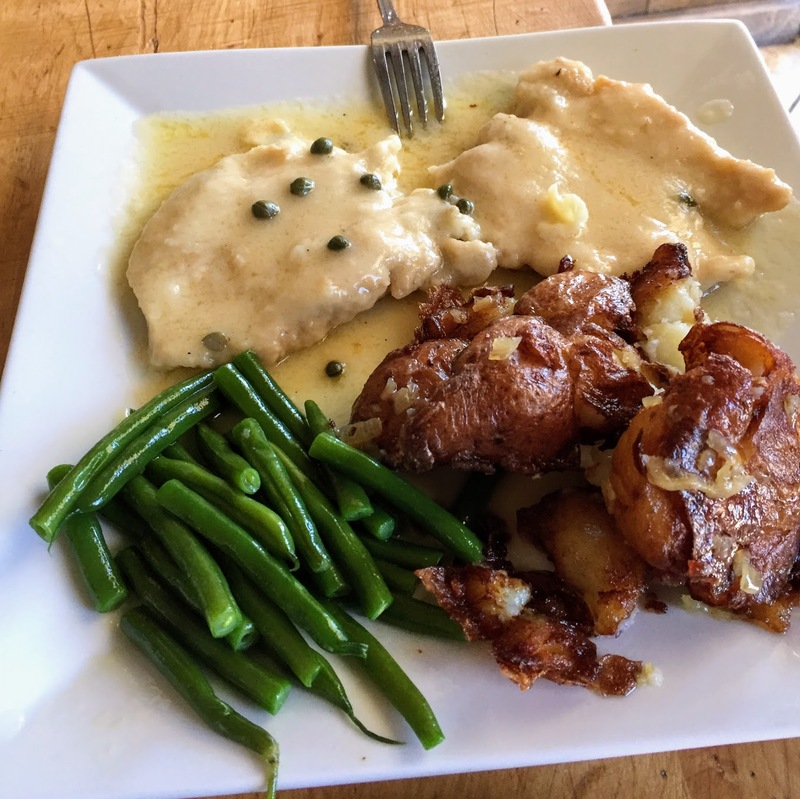 As a main course, my sister had a delicate chicken piccata; my wife a Health Salad, and I had already chosen the Lamb "Osso Bucco". It's really a braised lamb shank, but I was very happy with my selection. 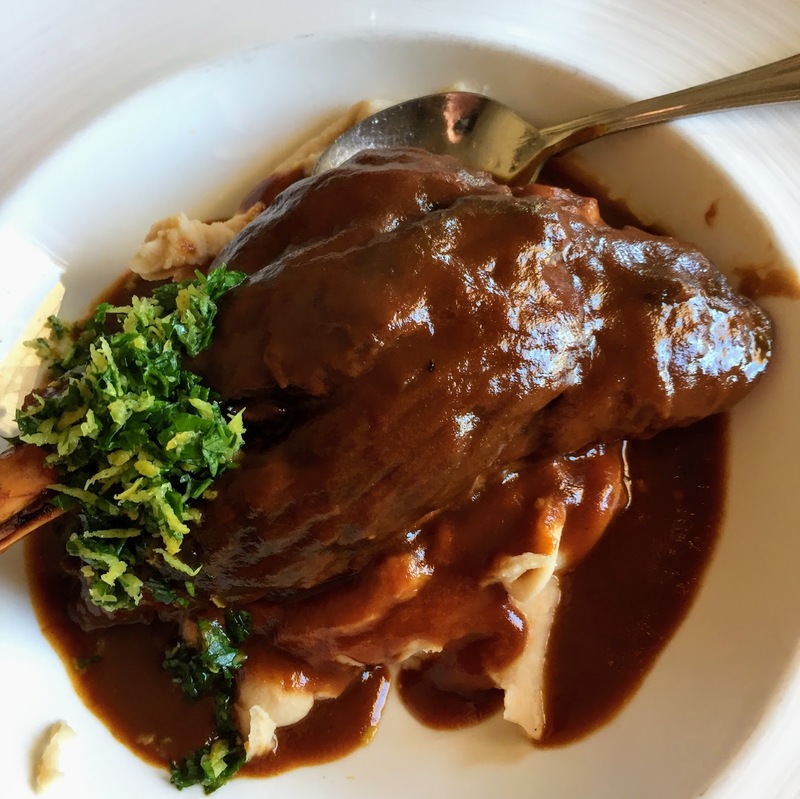 Braised Lamb Shank "Osso Bucco"
Rezza is known for a very limited dessert menu, but the desserts—all gelati or sorbetti— are of first quality. 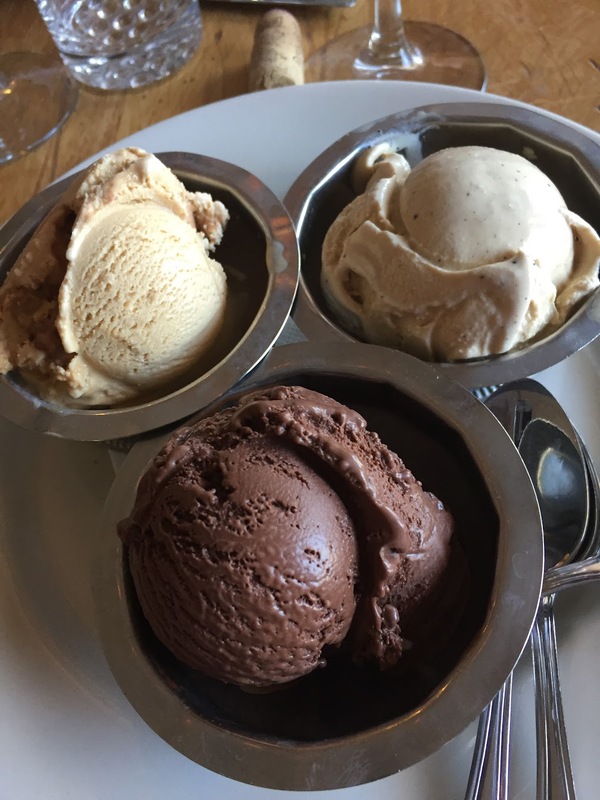 We got a trio of scoops: salted caramel, a little less emphatic flavor than before, a pleasant espresso gelato, and a wonderfully intense dark chocolate with a velvety texture. Rezza is BYOB, and I'd brought partial bottles of a California Pinot Noir and of "Uxmal" Merlot which just met our needs. Our after dinner coffees and espresso were good. 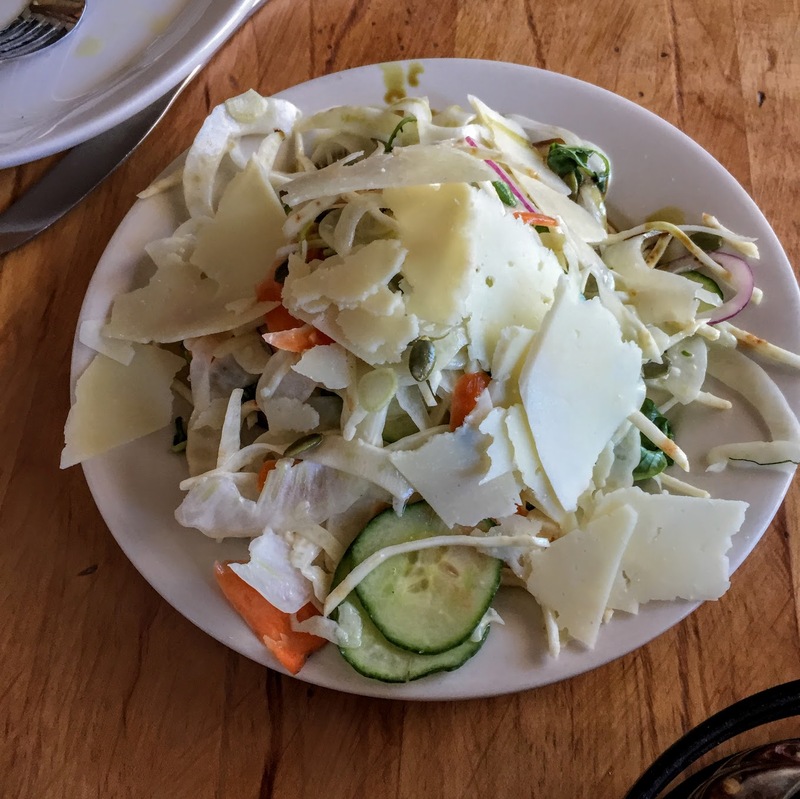 We three agree that of all the many meals we've enjoyed in New Jersey over the past two weeks, Rezza was by far the most satisfying. EDIT: My sister tells me that Rezza is actually in Roseland, not Rosedale.